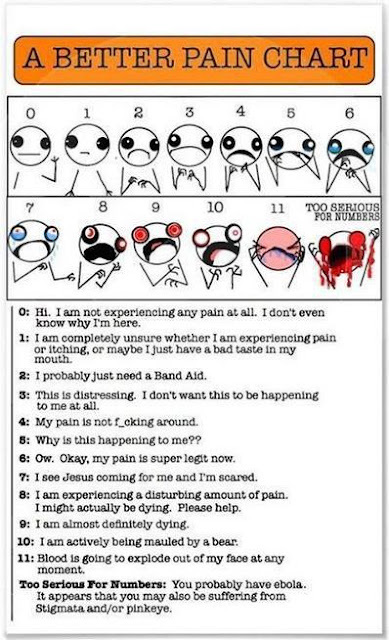 Because I don't about you, but for me those semi-smiling faces on the regular pain charts just don't do it for me. 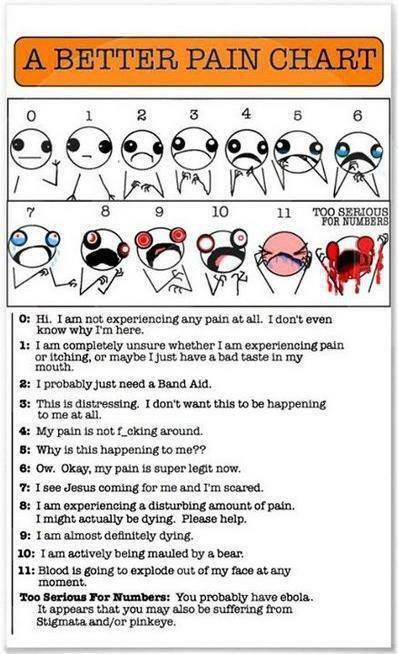 Where's the "I'm in so much pain I could punch a hole in your wall?" face??!? If you haven't encountered her before, she's hilarious. Thank you, I've fixed the link to give credit where credit is due. I always try to cite my sources, but it's hard when taking something that has become a meme!